Softball season is officially over – sad times. If I didn’t mention it at all, I’ve been spending the weekends this summer playing on a Comedy Softball league, which in and of itself does sound like somewhat of a joke – but all jokes aside, we were actually a pretty good team! Put together by the producers of the JokeBox Comedy Lounge (my good buddies Dee & Jimmy-Jams) and comprised of many current and former employees & performers of the Second City – and a few other comics here and there – ended up in 2nd place in the league! I hadn’t played softball since my last summer in Ottawa and am always looking to play in the summer – so this was a fantastic opportunity to play and to meet (and drink) with some fantastic members of the community. You should have seen the size of the champions trophy! 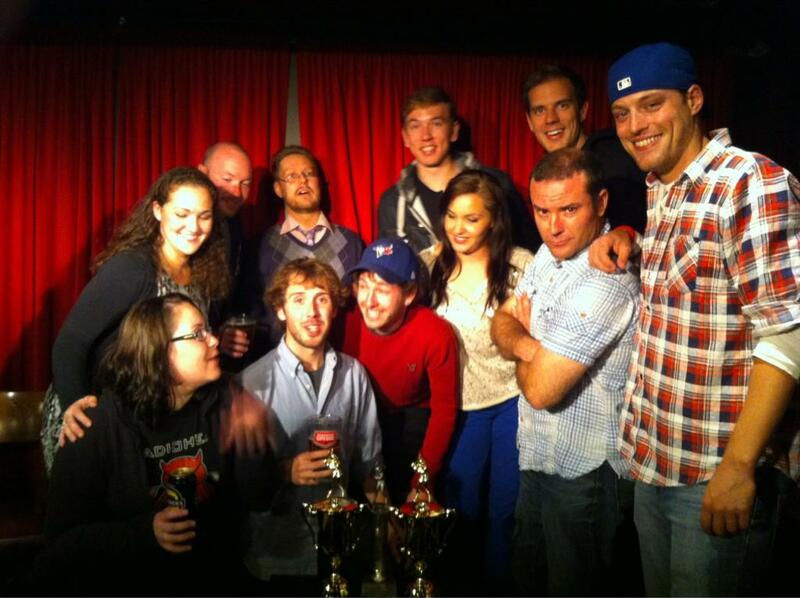 Comedy Bar does not skimp out on its sports awards! *Sigh…Oh well, there’s always next year, team!